One thing I love to do is walk through local parks after a fresh dusting of snow, and of course, take photos. The other day I was at Lake Nokomis in Minneapolis and took this shot of one of the many trail bridges bordering the lake. 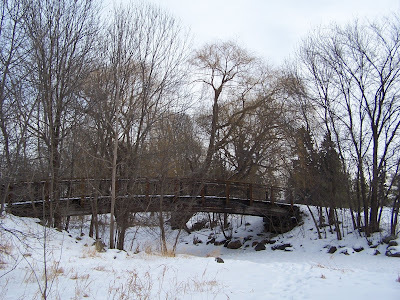 Jessica – when you move here, you will find there are beautiful places all over the Twin Cities!